A Monkey transported to New York from Fort Rickey Game Farm in Rome in 1977 has died after living an unusually long life. The Spider monkey named Spiderman died at the age of 43. 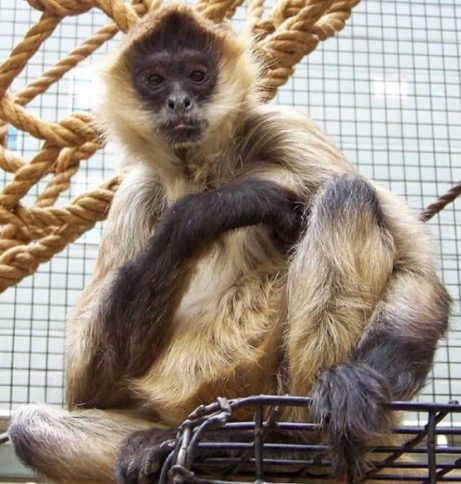 A necropy confirmed that the oldest monkey at The Seneca Park Zoo in Rochester died of terminal cancer. Born in 1974 in Rome, Spiderman was brought to the Seneca Park Zoo in 1977. Spider monkeys have a life expectancy of 25. MAY BE HER JOB WAS TOO MUCH.AS THEY MONKEY DE WORK,BABOON DE CHOP..THOUGH IT LIVED LONG.